The newly elected Prime Minister Imran Khan announced his 21-membered federal cabinet yesterday as a first step of implementing his decades-old slogan of purported ‘change’. The cabinet for now consists of 16 ministers and 5 advisors as per the list issued by the Prime Minister’s Office. Under the 18th Constitutional Amendment, the cabinet members cannot exceed 11 percent of the total strength of the Parliament (that includes both Houses). However, the current size of the cabinet cannot be considered definitive at this point as a number of key portfolios still remain under the Prime Minister. Some ministries have been bifurcated, and only one part is allotted to a minister. One of the most important portfolios, the ministry of Interior, has not been given to anyone. Reportedly, PTI stalwart Shah Mehmood Qureshi and Awami Muslim League’s Sheikh Rasheed Ahmed, both were vying for it. The Prime Minister has probably kept it with him in order to resolve the conflict between these two people very important to the PM, says a senior member of PTI considered to be close to the newly elected Prime Minister. In the new government of change, the selection of ministers is hardly out-of-the-box. At least ten ministers and advisers served under the military regime of Gen. Pervez Musharraf’s. A new ministry with the name Institutional Reforms & Austerity has been created for Dr Ishrat Hussain who would be in charge of it as an Advisor to the PM. While Asad Umar, as anticipated, has been assigned the Finance Ministry. He is also the minister for Finance, Revenue, and Economic Affairs Divisions. However, Statistics and Privatization Divisions, previously linked to the Finance ministry have been kept under the PM for the time being. Dr Shireen Mazari, who is a defense and strategic affairs expert, has been given the portfolio of Human Rights, which was previously part of the Ministry of Law, Justice and Human Rights. Surprisingly, the Defense ministry was handed to Pervez Khattak, who has no previous experience of dealing with strategic or defense related affairs. Similarly, Zubaida Jalal, a former Musharraf Cabinet member, has been given Defence Production. 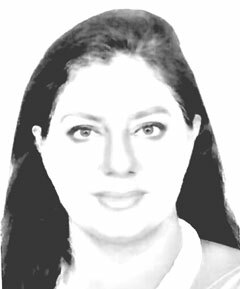 Both Khattak and Jalal are known to have good rapport with the military establishment, while Dr Mazari is known for her no-holds-barred approach when dealing with the issues of national security. This indicates that Imran Khan is in no mood to get into any kind of difference of opinion let alone confrontation with the military leadership. Moreover, the advisory to the PM on Establishment Division, which was previously a part of the Cabinet Division, has gone to Mohammad Shehzad Arbab, a former bureaucrat who retired last year as the Chief Secretary Khyber Pakhtunkhwa. He is a gentleman bureaucrat with a track record of technocratic skills in civil service institutional building. During his stint as CS, he asserted himself before the then incumbent Chief Minister Pervez Khattak. Now, they will be equal colleagues in the Cabinet. The inclusion of Razak Dawood, Ishrat Hussain, Amin Saleem Shahezad Arbab, Asad Umar, Farogh Naseem, Shafqat Mehmood and Dr Shireen Mazari indicates that there exists a strong realization within the Khan government that a reform agenda has to be followed through technocrats, rather than politically negotiated ministries doled out to the coalition partners and patronage network leaders (aka electables) in lieu of their loyalties, as has been the practice in past. However, Imran Khan did succumb to this trend to some extent while forming his cabinet. Furthermore, it is clear at the moment that the question of separate Seriaki province is not immediately on the cards. Only one of the cabinet members is a flag bearer of Seriaki Sooba. It would be interesting to see how this issue unfolds in coming weeks and months. Imran Khan must attend to this issue before this open wound ruptures into a serious ailment. The inclusion of former Speaker Fehmida Mirza is a fresh reminder of her capabilities of conflict resolution and coordination. However, the portfolio allocated to her, Inter-provincial Coordination, might pose problems in effectively carrying out her responsibilities in the backdrop of her uncomfortable relationship with the Sindh government led by her former party PPP. It is disappointing to note that women make only 14 percent of the cabinet. Having an entire contingent of capable women in its ranks, PTI could have done better than this. It is hoped that Imran Khan would expand the cabinet and bring the number of women to the critical mass of 33 percent at least. The ethnic composition of the Cabinet is such that out of 16 ministers, 9 are from Punjab (including 4 from South Punjab), while out of five advisors, two are from Punjab. Thus, making a cabinet 52 percent Punjabi, with a 36 percent share of South Punjab. Three ministers and two advisors are from Sindh (including one ethnic Sindhi), making Sindh’s total share of the cabinet as 24 percent. Two ministers and one advisor are from Khyber Pakhtunkhwa (including one from Tribal Districts). There is one minister each from Islamabad and Balochistan. This roughly corresponds to the respective population of the provinces, however, putting Baloch and Sindhi ethnicities at a comparative disadvantage. The cabinet sounds promising at a first glance. However, looking beyond the apparent feel-good factor of technocratic strength, the complexities and challenges that such a cabinet shall face in future will be immense.